Your gift touches the lives of Virginia´s most vulnerable children and helps build strong families in our communities. With your help, we can make a meaningful impact in the daily lives of Virginia’s at-risk children. $25-$99 – guarantees snacks to feed our John G. Wood Elementary School students. $100-$249 – equips new students with ”tools” for their after-school vocational program. $250-$499 – affords supplies for the art therapy program at John G. Wood Middle/High School. $500-$999 – welcomes a distraught child who comes with nothing but the clothes on his/her back to live on campus. $1,000-$2,499 – gives our kids and families in crisis access to 24/7 counseling. $2,500-$4,999 – delivers school lunches for three children for one academic year. $5,000-$9,999 – provides staff support ratio needed for our elementary students to succeed in school. $10,000+ – puts nutritious dinners on the table for a family of 12 in one of our group homes for a year. Virginia Home for Boys and Girls is a Better Business Bureau accredited charity, meeting 20 standards for accountability. Virginia Home for Boys and Girls is a 501c(3) charity, EIN 54-0506330. Donations are tax-deductible to the extent of the law. Please consult your advisors when tax planning. PLEASE NOTE: THERE ARE OTHER NON PROFITS WITH SIMILAR NAMES. IT IS VERY HELPFUL TO USE OUR FULL NAME. VHBG is an approved Neighborhood Assistance Program (NAP) organization. The purpose of the NAP is to encourage businesses, trusts and individuals to make donations to approved 501(c) (3) organizations for the benefit of low-income persons. In return for their contributions, businesses, trusts, and individuals may receive tax credits equal to 65 percent of the donation that may be applied against their state income tax liability. For more information, contact VHBG President, Claiborne Mason, at 804-270-6566 ext. 124 or cmason@vhbg.org. J.P. Morgan Chase Bank, N.A. Please contact us or have your broker contact Edilia Bendel, VHBG’s Annual Fund Manager at (804) 270-6566 x119, mailto:ebendel@vhbg.org to inform us of your contribution. Below is a list of some of the companies that support nonprofit organizations doing great work in our community. Don’t see your company listed? Please check with your employer’s Human Resources department to see if your company participates in a matching gifts program. You could double your support if your employer or your spouse’s employer participates in a Matching Gift Program. Aetna Inc. Allstate Altria AON Foundation AT&T Foundation Atlantic Election Services Bank of America Berkley Mid-Atlantic Group, LLC Bon Secours Health System, Inc. Brink’s Incorporated Capital One Carmax Caterpillar Foundation The Charles Schwab Foundation Chubb & Son Coca Cola Co. CSX Corporation Dominion Dominion Digital, Inc. Erie Insurance Group Exxonmobil First Community Bank Franklin Federal Savings Bank GE Foundation GEICO General Electric Genworth GlaxoSmithKline Goldman, Sachs & Company Gray Holdings, LLC H&R Block Home Depot Honeywell Foundation Hospital Corporation of America (HCA) IBM, James River Insurance Co. Johnson & Johnson Kraft Foods Matching Gifts Program Liberty Mutual Insurance Group Macy’s Foundation Markel Corporation McGraw Publishing McKesson MeadWestvaco Merck MetLife, Inc. Morgan Stanley Nationwide Insurance Noland Memorial Foundation Norfolk Southern Foundation Pfizer Pepsi Bottling Co. Pitney Bowes PNC Foundation Prudential Foundation RBC Wealth Management Sprint Foundation Starbucks State Farm SunTrust Bank T. Rowe Price Thompson, Siegel & Walmsley LLC Toyota Dealer Match Program UBS Foundation Universal Leaf Verizon Virginia Credit Union Virginia Power/NC Power Walmart Foundation Wellpoint Wells Fargo. An honorary or memorial gift is a wonderful way to recognize and remember those who have impacted your life. Donors who give a gift in honor or in memory of a family member or friend will receive an acknowledgment of the gift. An acknowledgment notifying this person or their family of your gift will also be sent, when an address and contact information are provided. To make an online memorial or honorary gift today, please fill out our online giving form. For more information, contact Edilia Bendel at (804) 270-6566, ext. 119 or ebendel@vhbg.org. Leave a legacy of strength by supporting VHBG through your estate plans. Planned gifts not only provide for VHBG’s future, but they may offer current tax benefits and help reduce estate taxes. Donors who designate VHBG in their estate plans are invited to join The Legacy Society, an organization created to recognize these gifts of a lifetime. Legacy Society donors support the safety and livelihood of our children well into the future. One of the easiest ways to give a planned gift is to place VHBG in your will. Below you will find some sample language that can be used for a bequest to VHBG. Unrestricted Gift: A gift that can be used where need is greatest. Gift for a Specific Purpose: A gift that is to be used for a specific purpose. “I give, devise, and bequeath to Virginia Home for Boys and Girls the sum of $_______* to be used for [state specific purpose, program or activity]. Residuary Bequest: Leaves any remainder after all other bequests have been paid. Contingency Gift: Takes effect only if a primary intention can’t be met. 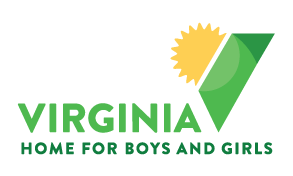 Unless otherwise designated, all gifts given to Virginia Home for Boys and Girls will be placed in the Endowment Fund for permanent investment, with the interest being used to finance VHBG’s general operations. VHBG is happy to work with you and your adviser to ensure your gift is arranged as easily and as beneficially for you and your family as possible. * Rather than leaving a sum certain, you can include language that refers to a percentage of your estate or a description of the property you wish to give. Bequest provisions designated for a specific program or activity require additional language. Virginia Home for Boys and Girls holds an endowment to provide top quality services. The endowment has been generously funded by donors, like you, who know that despite the Virginia Home for Boys and Girls’ best efforts, children and families will continue to need our help. VHBG’s endowment is professionally managed and uses a conservative 5% payout structure, as directed by the Board of Governors. Funds from the endowment are used to provide treatment and activities that are not covered in fees-for-service and to promote new programs that continue VHBG’s tradition of serving children and families in the most effective ways possible. Gifts can be made directly to VHBG’s endowment and are frequently made with estate gifts. Please contact VHBG’s Vice President of Philanthropy and Marketing, Adrienne Whitaker, at (804) 270-6566 ext. 115 or mailto:awhitaker@vhbg.orgto ensure that your wishes are understood. Occasionally we wish for tickets so we can take our kids to shows, performances, concerts, exhibits, etc. For a group home to attend, we need 10-12 tickets per home. We currently have four homes. To keep Virginia Home for Boys and Girls running smoothly all year long, we rely on wish list item donations. Below you will find a list of items that we are always grateful to accept from donors. Supply collection drives can be fun and a way to engage your school, neighborhood, business, or civic group in a worthwhile cause. Please contact CoCo Murray at cmurray@vhbg.org or 804-270-6566 ext. 110 if you have any questions about the wish list or would like to donate items.